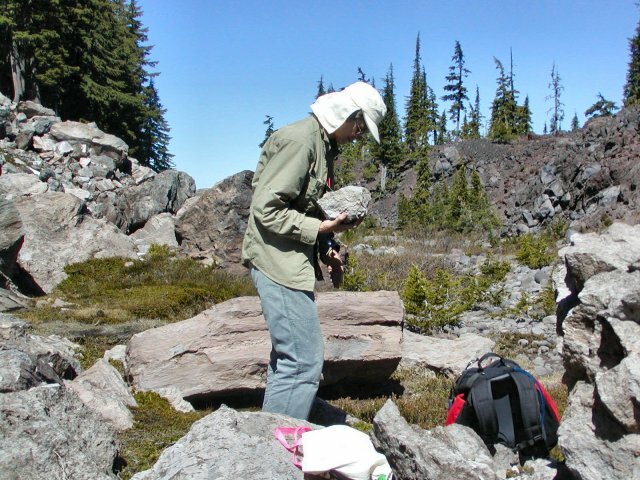 There is a beautiful area of the southern Oregon Cascade Mountains that we enjoy mineral collecting in. There are four very interesting collecting sites plus great scenery. There area streches from Crater Lake National Park north to McKenzie Pass. 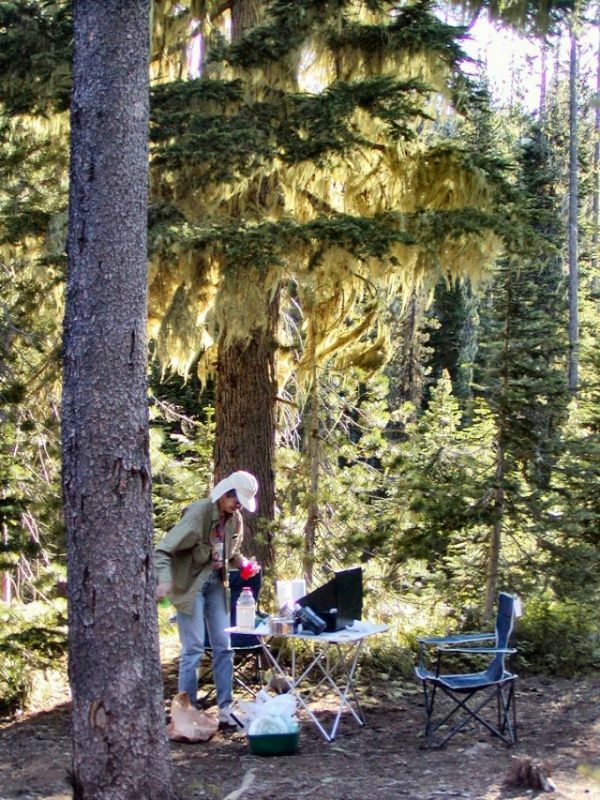 We usually camp by Diamond Lake. Our last trip there was in May 2005. There was still snow on the ground and we were snowed on while collecting. July and August are the best time to be in the area. 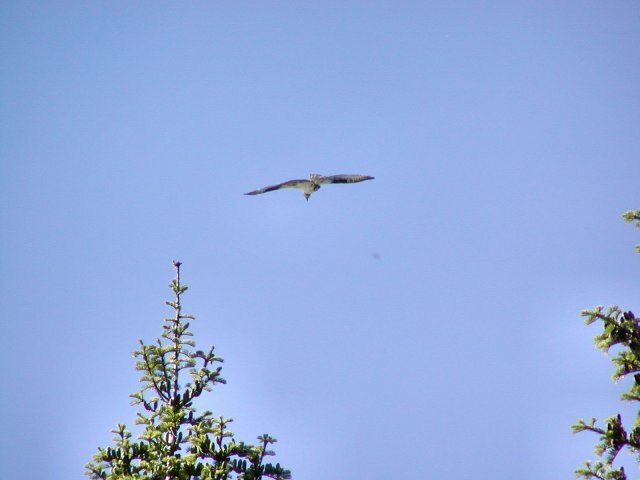 Photos taken with an Olympus C700. This is a beautiful area! I had a son stationed near Diamond Lake last summer, fighting fires with the Forest Service. We drove through a couple of times, just to see what he was seeing. I was very impressed with the sharpness of Mt.Theilsen's peak, though I discover this evening that there is a "walk up" route to the summit. Across the lake from Mt.Thielsen is another volcano, Mt.Bailey, that is reasonably tall but very rounded. Bailey is described as a "shield volcano", Thielsen as a "stratovolcano", but apparently the major difference in shape is simply age -- Thielsen having had time to be worn away by glaciers during the ice ages. Where are these "Obsidian Cliffs" that you speak of? The trail head for Obsidian Cliffs is off the old Mckenzie Pass Highway. It leaves from the old Frog Camp campground. When we were there, you had to have a Northwest Trail Pass to park at the trailhead. It is about 4 miles in to Obsidian Cliffs along a good trail. We were there just before the 4th of July and there was only a little snow on the trail. We had no problems with bugs on the trail but at the campground we were eaten alive. If the timing is right, the wildflowers would be spectacular. I have seen references to mineral occurances on Bailey but have not checked them out. 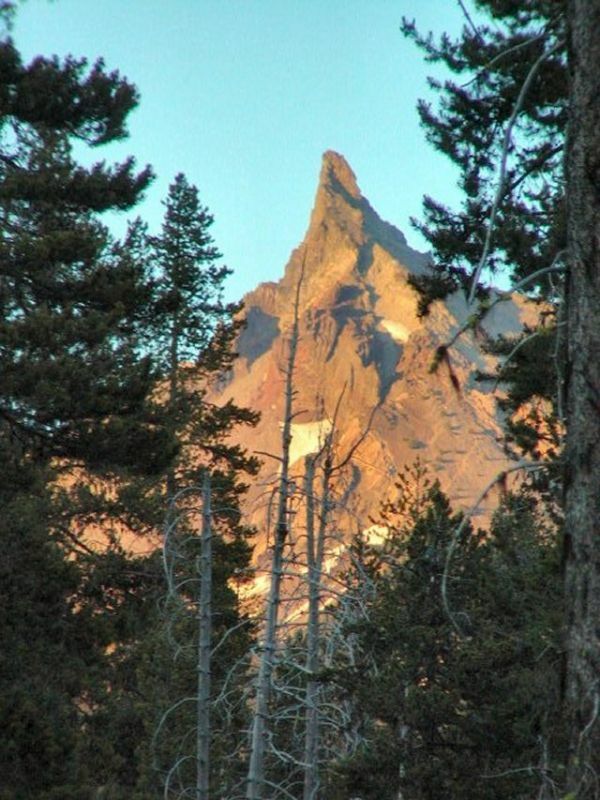 Summit Rock is a collecting ares just to the south of Thielsen. Lemolo Lake, just north of Diamond Lake, has two good collecting areas.